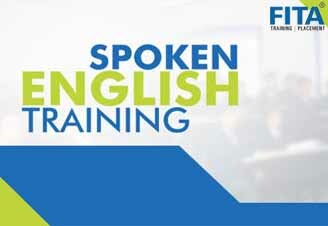 Are you interested in becoming an English proficient?Then, join in Spoken English Classes in Chennai. Best Spoken English Classes in Chennai offers the well-experienced language experts as trainers. English is the most commonly used language in many parts of the world and is often used as a second language in schools and colleges. Around 400 million people in the world speak English as a first language and are considered as the official language of 53 countries. We have come up with Spoken English class in Chennai to help the people to communicate better. A strong communication skill is an asset that helps people to reach to a great extent in their life while some are blessed naturally with good communication skills while others are not. The process of sharing thoughts by the means of words or actions is called communication. As English is an international language everyone must learn the language as it is not only the language of communication but also it is the language of knowledge. The technologies have changed the world in the field of business where the English language acts as a bridge to connect the people around the world. In order to communicate with people from different country, one must know English in addition to his regional language. Fluent English speakers are the search of the day because the globalized world seeks fluent English speakers for every job. So learning English will pay your reward in your career. As English is a widely spoken language, most of the information that is available online is English. In order to know about technologies or information that is available online, one must know the English language So, the English language acts as a knowledge gainer. Most of the top universities offer educational opportunities for the students those who are good in communication. Fluency in English helps the students to get placed in top companies and the English language helps you to live your life to the fullest. Knowledge and fluency in the English language help to withstand in any field. Fluency in the English language is achieved only by the proper training. In order to get proper training one must undergo Spoken English Classes in Chennai to develop the skill. FITA is the Best Spoken English Institute in Chennai at an affordable price with an aim to help the students those who lag in communication skill. 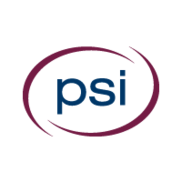 We provide practically oriented coaching from the beginner level to the advanced level in real time. We offer spoken English classes not only for the beginners but also for the all the people those who are interested in learning English. We provide individual coaching for the students by identifying their capacity. Learning English at FITA helps you to develop your interpersonal and intrapersonal skills. We have set of experts to teach the students. Our teaching methodology is different. We provide theoretical and practical knowledge for the students to succeed in whatever field they are. We provide a fun-filled environment for the students to help them learn the language quickly. We help the people to reach their aim in a short span of time. Our Best Spoken English classes in Chennai will gradually an increase person’s confident where they will be easily able to understand the basic concept of spoken English and at the end of the course they will be able to speak fluently. The syllabus for the course is designed specially by the experts in the English language. Reading, writing, speaking and learning. Our T Nagar or Velachery office is just few kilometre away from your location. If you need the best Spoken English Classes in Chennai, driving a couple of extra kilometres is worth it! Interested students can reach us @ 98404-11333 to become a successful and professional English speaker. I attended Spoken english course here. The training was conducted to my utmost satisfaction. The Faculty was good and having an in-depth subject knowledge. He was able to resolve my doubts patiently and provide additional required information as well.